Paul began his studies with a National Diploma followed by a degree in Editorial Photography at the University of Brighton, from which he graduated in 2002. He then went on to do a teacher training PGCE at the University of Wales Newport, before teaching at a further education college for two years. 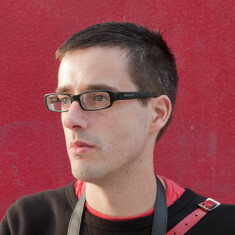 He then undertook a Masters degree at the University of Brighton with an emphasis on photographic theory and critique. In Paul’s own photography practice he undertakes commissions such as documenting the renewal and regeneration of a historic site in Brighton, as well as exhibitions.